# 56 of 669 Aged Cares in New Zealand. 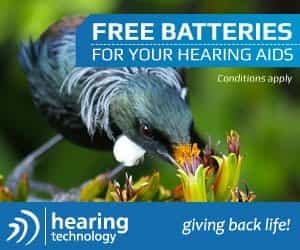 This facility is owned by Christchurch Methodist Central Mission. 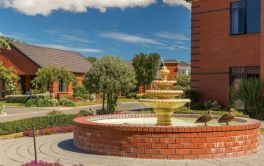 For Resthome and Hospital care, the Christchurch Methodist Mission website states that WesleyCare offers a range of accommodation including rest home, hospital and palliative care for all adults. It now has 74 hospital-level rooms and 16 rest home-level rooms. They also offer carer support and respite care. × Have you visited this facility? Help others who are looking for a place by posting a review on Wesley Care Rest Home and Hospital or review a different facility now. I have been here now for nearly a month receiving Palliative end of life support. The staff are wonderful and Ii felt at home straight away. It was a very hard decision to leave my home. The transition has been made so much easier BV by the caring and thoughtfulness if the staff at Wesley and I would have no hesitation in recommending this facility. The staff appear to be well supported and this shines through. I'm sure the management team have worked hard to achieve this . As a resident I feel comfortable in voicing concerns as know they are passed on. Staff that care about their people. Great management and loyal nursing staff. Nice staff. Can have a room with 2 bed in it for couples. They looked after both of my grandparents really well, and they enjoyed staying there. Always had activities to do, and the staff were always smiling. My relative had 3 months to live and was given a studio to live in that had a kitchen, living room, wide screen tv, lazy boy chair and open plan bedroom with a bathroom and washing machine. Can't think of any [negatives]. Staff were very caring and got to know my relative and [their] quirky nature. 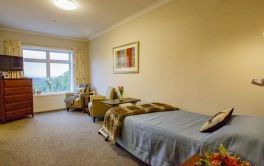 Wesley Care is possibly about the only facility in Christchurch that offers Studio Units for Aged Care which includes a spacious lounge, kitchenette, bedroom and an ensuite bathroom including washing machine and dryer. The way they have set it out is like having a home away from home. 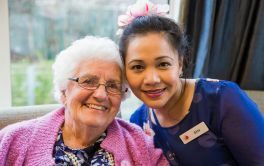 [The] staff are great and caring towards residents and each other. Helpful caring staff. Appropriate food, with good portion size. A well run facility offering a high level of care - Very impressed !! Large rooms and easy wheelchair access. The Staff seem very kind and caring, the facility was designed with elderly care in mind with large rooms and easy wheelchair access. The room I have seen does seem rather tired and could do with some redecoration, the bathroom facilities seem to be modern and quite adequate. A general spruce up would help to modernise and brighten the rooms.